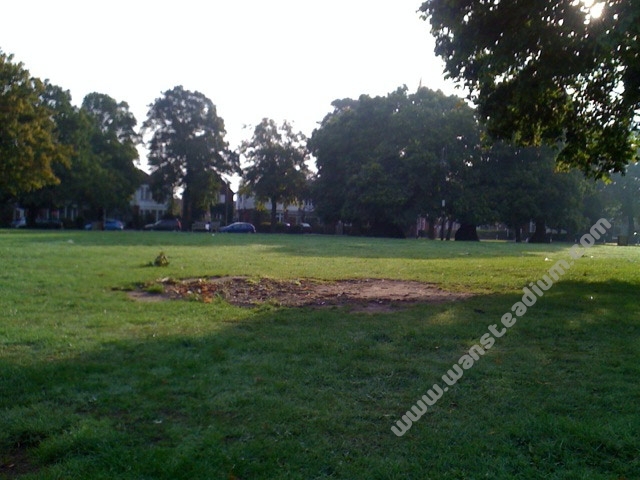 The remains of a chestnut tree on Wanstead Green – celebrated as a ‘tree with a postcode’ when it was the centre of the protest against the building of the M11 link road in the early 1990s – has been removed, Wansteadium can report. The 300-year-old tree was pulled down during the building work, and the fallen trunk has been lying on Wanstead Green since 1993, gradually rotting. Conservationists warned in early 2009 that the trunk would be lost unless someone took over caring for it. The tree became a symbol of the protest against the road, and even became the subject of legal argument over whether it constituted a dwelling, since it had protesters living in it who received letters there. Despite its nickname it is not thought that it ever did actually have its own postcode. More history on the tree here. UPDATE 1200 BST: The Wanstead Guardian has now followed up on this story. Earlier, Wanstead Society stalwart Jack Figg had raised the prospect that someone might have taken the wood to use it. Legally minded Wansteadium readers are invited to discuss what legal recourse there might have been against anyone who had taken it, bearing in mind it was a rotting tree trunk, seemingly abandoned, with no indication that it was there as an unofficial monument.